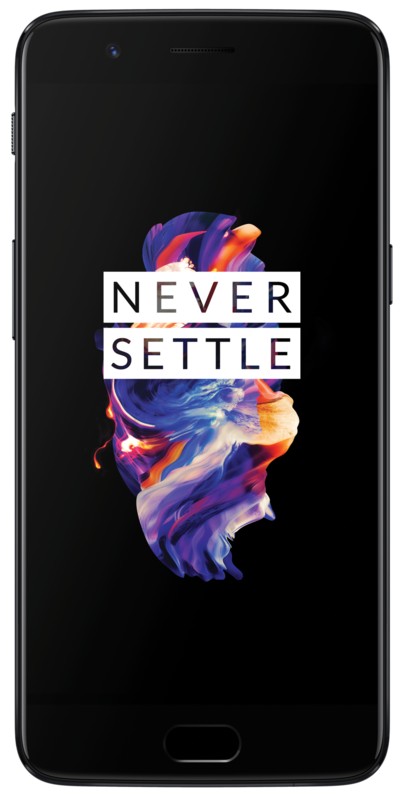 The OnePlus 5 is the direct successor to 2016’s OnePlus 3, continuing on the same path of offering a high-end phone while cutting the price considerably from the competition. The OnePlus 5 starts at just $479, but has a strong spec sheet including a Snapdragon 835, 6GB of RAM, 64GB of storage and 3300mAh battery. A $60 upgrade gets you 8GB of RAM and 128GB of storage. The OnePlus 5’s external hardware and design still feels rather generic, and doesn’t include a few high-end features like waterproofing. The display is the same 5.5-inch 1080p AMOLED panel as its predecessor as well. The big change this year is the camera experience, where the OnePlus 5 includes two rear cameras: a standard 16MP camera, and a longer focal length 20MP camera. You can shoot with each one independently, or combine them in “Portrait Mode” to take unique shots where the background of the photo is artistically blurred. At a launch event in November 2017, OnePlus once again launched an upgraded "T" variant of its latest flagship: the OnePlus 5T. The new 5T takes nearly the same hardware as the 5, but stretches it out a bit to fit a 6-inch 2:1 display. In doing so it moved the fingerprint sensor to the rear, but didn't change the ergonomics of the device beyond that. Internally the specs stayed identical, but the secondary camera made an interesting swap to a "low light" tuned 20MP sensor with the same focal length as the primary sensor. With these subtle changes OnePlus once again upped the price, now starting at $499. Thinking about joining Team OnePlus but aren't sure which of the company's gadgets is right for you? Let us help you find the perfect OnePlus phone! The OnePlus 5T is now a year old, but it's still able to hold its own next to the OnePlus 6T. Hidden Space is a feature in OxygenOS that helps you hide apps from your main app drawer — here's how to use it! OxygenOS lets you change the theme and accent colors of your OnePlus phone. Not sure how to do that? Let us help! The latest OxygenOS Open Beta for the OnePlus 5/5T is here, bringing the May security patch, improvements to the launcher, and more. Not all dual camera arrays are the same. Honor and OnePlus make very different use of their cameras — find out which system works best for you. The OnePlus 5T still offers the best specs in this segment, but the Nokia 7 Plus has a better camera and outstanding battery life. The Android 8.1-based OyxgenOS 5.1.0 update is now available for the OnePlus 5 and 5T, and with it, all 5T owners can try out OnePlus's new gesture system. European customers looking to get their hands on a OnePlus phone will have to wait for the OnePlus 6. Four months after its release, the OnePlus 5T continues to be one of the best phones in the $500 category.